MBall 2 is an addictive breakout game with a Pinball feel! has six sided blocks, power bumpers and lots of powerup barrels which roll down ! 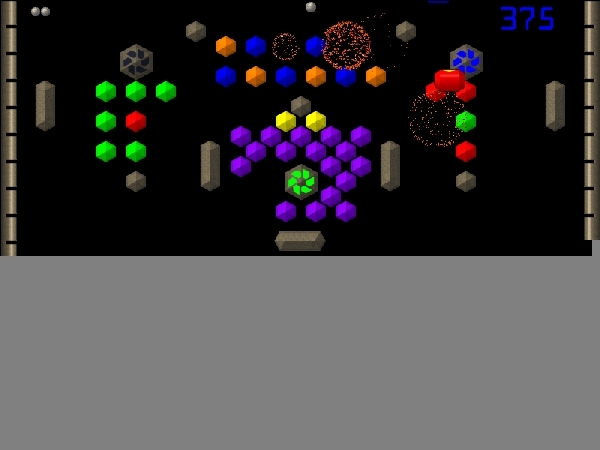 MBall 2 is a fast paced addictive breakout game with a Pinball feel! Forget about the usual square bricks, MBall has six sided blocks, power bumpers and lots of powerup barrels which roll down. 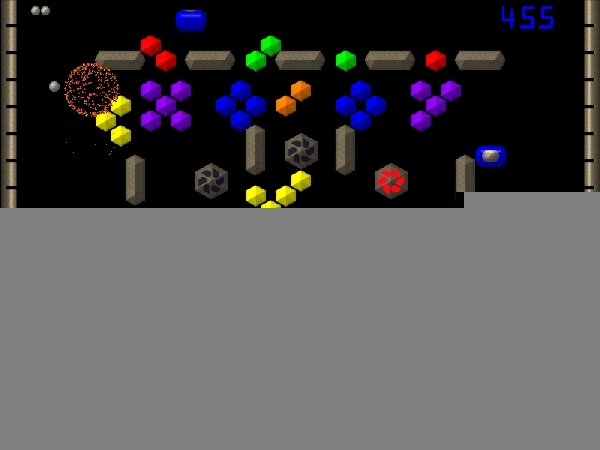 Your paddle rides on a red laser beam, move the paddle with the mouse to send to ball to the top of the playfield and destroy all of the six sided blocks while preventing it from hitting the red laser beam. There are 3 power bumpers which change color when hit and give bonus points. Powerup barrels appear and roll down the screen ervery 4th block destroyed. 800 x 600 3D graphics. 3. Access to all 50 levels.